What is your favorite Weapon from the Swat Kats? Mine is the Cyclotron Machine Gun. 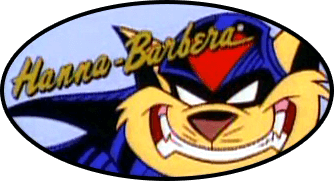 Re: Favorite Swat Kats Weapon? Plus um...Vehicles go well with cats in these sagas of Swat Kats. Cyclotron Machine Gun? I think you mean the Cyclotron and/or the Cement Machine Gun. Mine is the Octopus Missile. It's just a fun staple. I would love to have a glovatrix... to cut some pizza. Cait wrote: I would love to have a glovatrix... to cut some pizza. Favorite Glove-a-Trix weapon, though? Turbokat, easy, buzzsaw missile. Glove, I'm partial to the Mini Match Head. Add an oil pellet launcher and boom, light 'em up. But a retractable buzzsaw and shield combo. Left arm, shield, saw on the right, I'm good to go. Yea those Glove Weapons are pretty cool. The Cyclotron is something nice with offense power as well though. Even though I think it's the most frequently crashed/lost of their vehicles.